I volunteer at school on the first Thursday of every month, today was the last one for the year....seriously??? I'm a fast lane type, but I don't like the feeling of life speeding by! 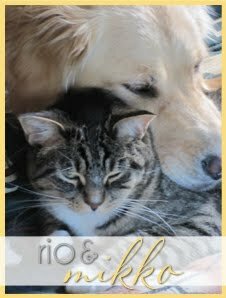 First, I love her profile photo on her blog! She knocks out unique diys every week and has a talent for styling them perfectly. 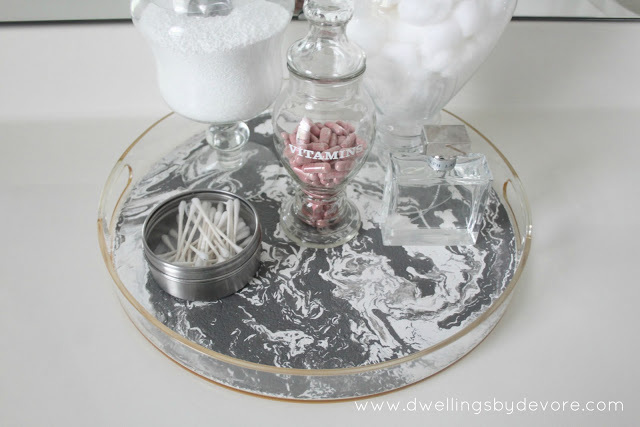 I loved her marbleized tray this week...quick, inexpensive and easy to customize the colors. Go check out her tutorial and don't miss the tour of her beautiful home on her sidebar. the color coordinated arrangement of her nine favorites is eye candy in itself. I always learn something new and she has the BEST gift ideas! 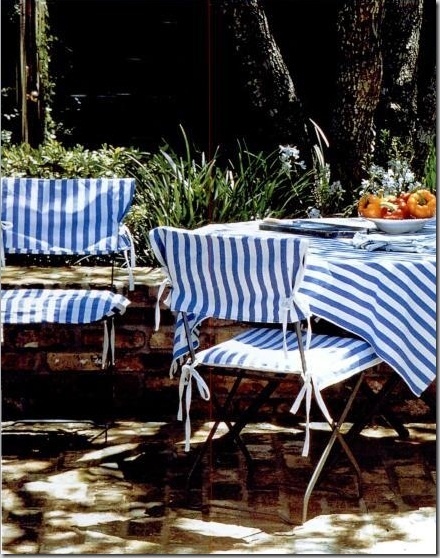 wouldn't they be a simple diy to spiff up patio chairs? 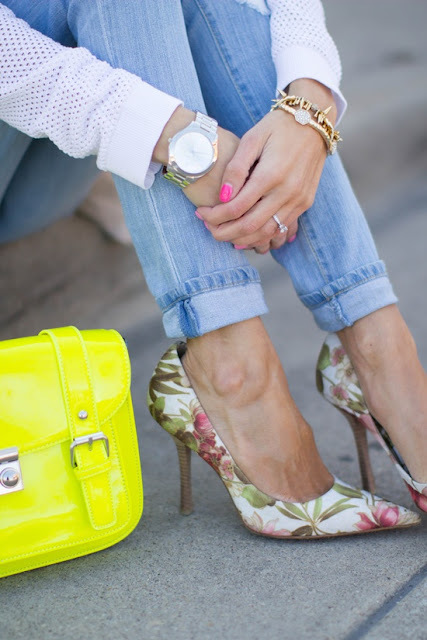 I'm loving the floral trend, isn't this the perfect spring look paired with your favorite jeans. The cutest, chic mom behind Hello Fashion Blog rounded up a few others here. If you've been inspired by someone feel free to share it with us. Dwelling by Devore is one of my favorite blogs! Her projects are always fantastic. Thanks for sharing some other goodies to check out. Have a great weekend, Pam! 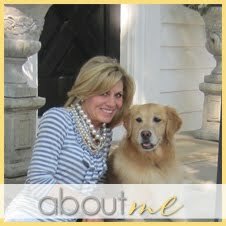 I totally agree that Mrs. Devore has a fabulous blog. Love reading it and she has the best profile picture ;) I remember years and years ago finding her on "Rate my Space" and then I found her again in blogland. Thank you, Pam! Is the sun going to shine on Denver this weekend I hope? I love the heels!! So pretty and perfect with the jeans. Will check out Mrs Devore's blog. Have a great weekend, hope it finds you in the garden. We will be working at son's Afterprom until 3:00 in the morning Sat night, will be worthless on Sunday I am sure! Thanks for passing on the inspiration! I love those heels with jeans. have a great weekend! I've got a weeding solution tomorrow since I'm doing a lot of that lately! Fun finds! Can someone please explain how each school year goes faster and faster? Not sure I like that either. 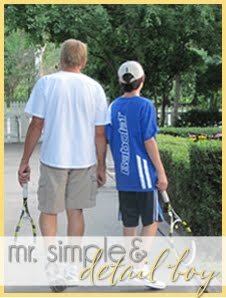 Have to check it out, I always enjoy finding a new blog. I will have to check it out...Thanks! Looking forward to checking out those blogs. Thanks for sharing! Um, YOU?!! You inspire me every day of the week my friend. Thanks for sharing this reading material for the weekend! Hope the sun comes out and melts all that snow so you can start playing in your garden. I'm on the hunt for a potting bench like yours! How fun!I love meeting new blogs. That tray is awesome. I've been wanting to try my hand at that since easter. I saw the pretties darn eggs but I wanted to do it on something more permanent. A tray is perfect! Thank you Pam for this wonderful intro and round-ups! Happy Weekend! Thank you so much Pam! Love those heels! I love learning about new blogs ~ thanks for sharing!